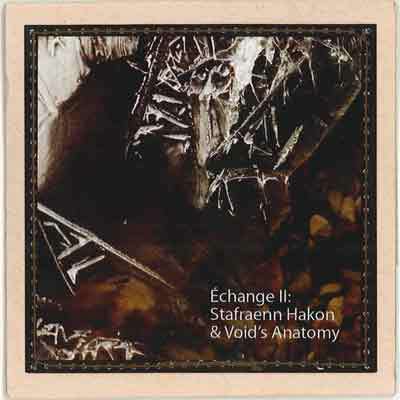 After the success of his now sold out chat blanc ep in 2006, Stafraenn Hakon is back with a collaborative work with quebec's artist Void's Anatomy for 3 nice tracks being a part of our Echange series. While Olafur is taking care of most of the music, which is usual extra melodic Stafraenn Hakon like, the sweet voice of Marie Jorge a.k.a. Void's Anatomy brings the last touch to make it a perfect ep!!!! Highly recommended!! Coming in a light brown cardboard printed in 222 copies.